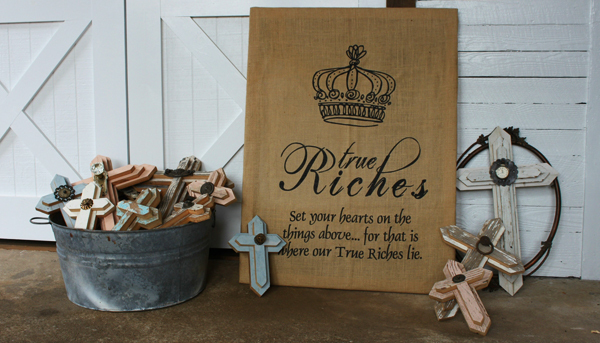 True Riches make the best gifts for house-warming, wedding, anniversary, and other occasions! In January 2010, we started creating one of a kind, handmade crosses. 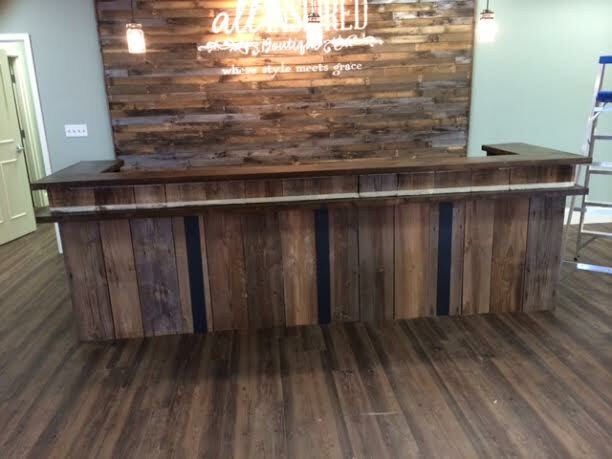 These crosses are constructed of antique hardwood from old barns and historic homes. 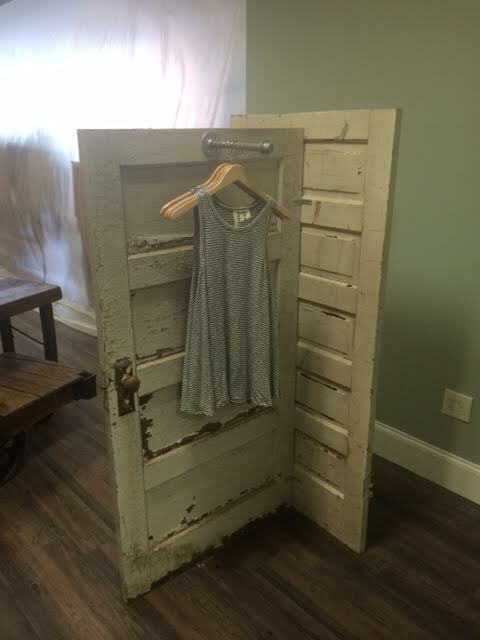 They're embellished with antique hardware we've collected while “junkin” throughout the southeast! We hope that our crosses will enhance your home, and represent the old and new of our lives and of our faith. Let True Riches be a reminder to set your hearts on the things above, for that is where our true riches lie. What is True Riches? Handmade vintage crosses, frames, and art built from reclaimed wood!